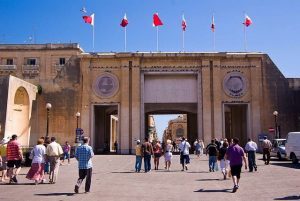 This post is intended for use with the Maltese Democracy walking tour and smart learning activities. 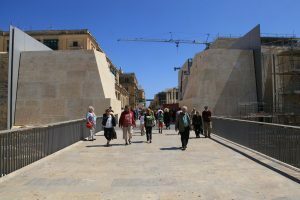 Here is a collection of some images illustrating the changing nature of the design and approach of Valletta’s City Gate, the main entrance to the fortified city. 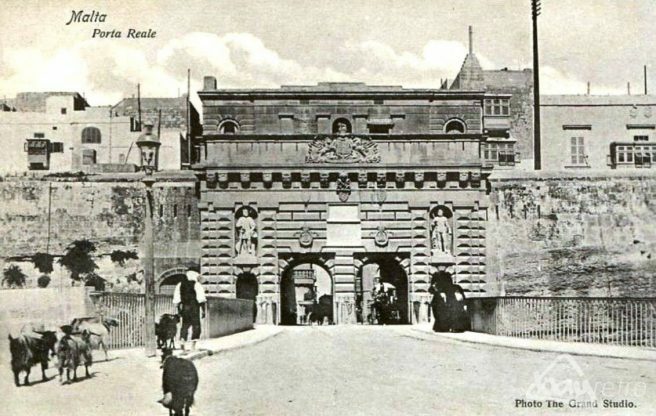 The changing shape of the gate and its area is reflective of the current political thinking. The original simple gate of the 16th century included a door, a bridge, a moat, and several guns. 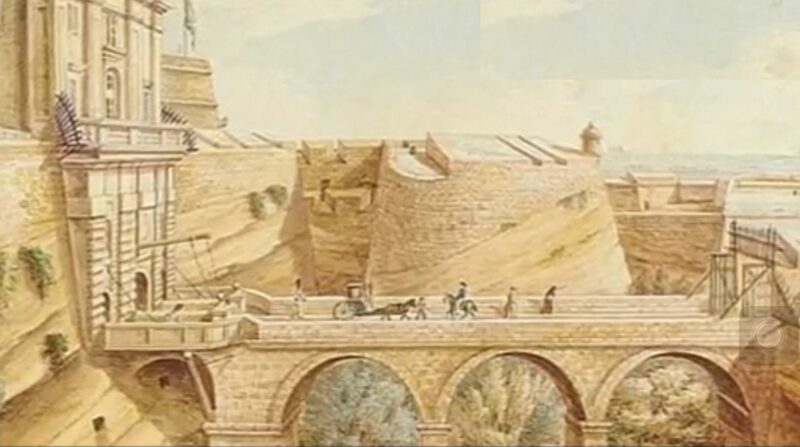 This structure represented military austerity and was needed to emphasize the autonomy and security of the city. The second ‘city gate’ was a single tunnel (seen from inside city) through the city’s ramparts. It was opulent and reflected security and ambition. The second gate has been remodelled, considerably altering the image of a fortified city gate. 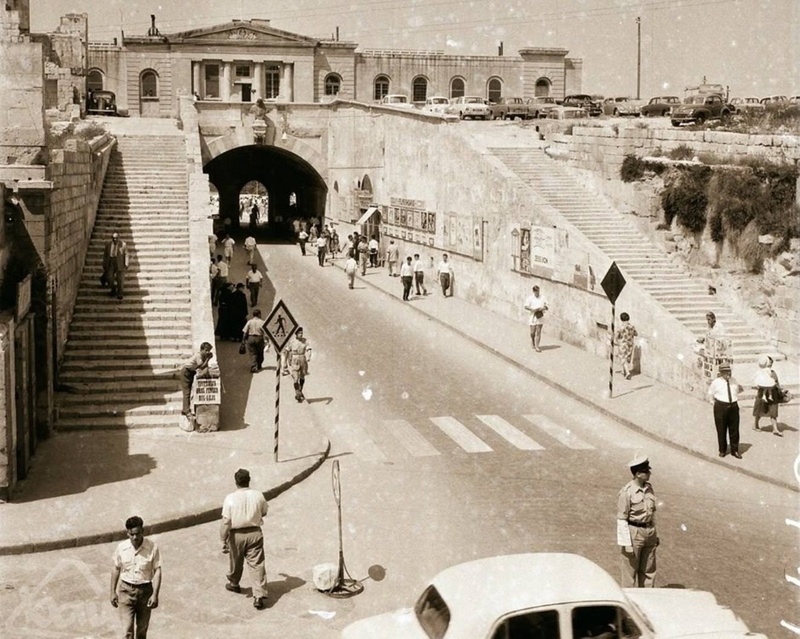 The most recent modification, completed 50 years ago, involved demolishing 32m of the city wall, distorting the impact of the entrance into the city. Aside from being very ugly it reflected again of a very austere architectural fashion. 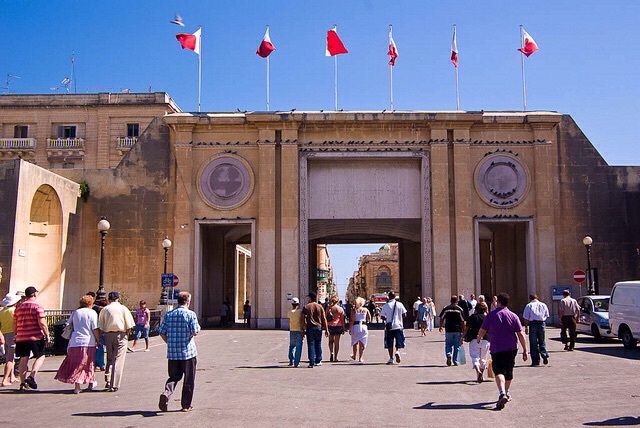 The current ‘non-gate’, standing alongside the new parliament building, indicates a wish for an open, transparent society. In Renzo Piano’s City Gate project, the first objective of the project was to reinstate the ramparts’ original feeling of depth and strength and to reinforce the narrowness of the entrance to the city, while opening up views of Republic Street. The new city gate is a ‘breach’ in the wall only 8m wide. The relationship between the original fortifications and those that have been reconstructed is made clear by the insertion of powerful 60mm-thick steel ‘blades’ that slice through the wall between old and new. The key element of this redevelopment was opening the gate to the sky. The debates about the Piano design are indicative of a more participative democratic model. Activity: Create your own photos and video clips and upload to your Edmodo group. Use these to discuss with your group how the different versions of city gate manifest different aspects of the democratic process. / Geofenced smart learning, AR doctoral research, UoM, 2017-20, P Lister.